Join me on my journey through the world of writing, publishing, and promoting Shades of Gay. I want to see if I can independently publish a best-selling young adult novel. I want to share my publishing journey with you. Unfortunately, I didn't get this idea until I was already 3/4 of the way through the first draft and had begun some promotional efforts. So I'm going to try as best as I can to get everybody caught up so that we can take the rest of the trip together, so to speak. Let's see... where should I begin? A play-by-play of how I got the idea, how I started writing, etc. will no doubt be tedious. So I think I'll start with the new habit I began yesterday. As of yesterday, I have a firm commitment to write 1000 words every day. Now, 1,000 words doesn't sound like a lot. In reality, it isn't. But when you're sitting in front of a blank page, trying to figure out what to put on it, and a voice in your head tells you to give it up for today and go surf Facebook, 1,000 words might as well be 1,000,000. On average, I write about 200 words before I get stuck/feel like stopping. Why, then, did I set such a high goal for myself? Well, for one thing, I want to get the first draft done by June. That ain't gonna happen if I write a half a page here and there. Instead, I have to put a concentrated effort into moving forward. By writing this much, I've practically completed the next chapter over two days. Before, it would have taken me a month. The 1,000 word goal is an interesting experiment. I like about 70% of what I'm putting out. Yet it makes writing feel more like a job. This should be a good thing... but part of me wants it to be more spontaneous. Plus I tend to go into high school student mode and continually check how many words I've written, stopping as soon as I've hit 1,000. Don't get me wrong... I love writing. But I've never liked school assignments, really, and now I have quite a few other things to do so writing feels like just one more thing I have to get done. I'm hoping that as I get used to this new regime, it'll become easier, just like a physical exercise routine. In addition to writing, I've also begun some pre-publication promotion. With about a year to go before the publication date, I figure it's time to create some buzz! 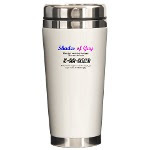 I've crated profiles on Myspace and Facebook as well as an online store at Cafepress. 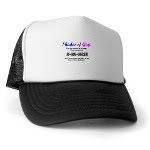 I'm really excited about the Cafepress store; I'm hoping that by selling t-shirts, coffee mugs, magnets, and hats I'll be able to fund the publication of the novel, which won't be cheap. Each of these profiles takes a bit of time to maintain. Time management seems to be the most difficult aspect of producing and marketing a successful novel. I'm also working full time, as a teacher no less, so I have to squeeze everything in when and where I can. So far, this is the easiest profile to maintain, although I haven't really fully explored the possibilities yet. Building the site took me a few hours, though of course I had experience with my personal page. I wanted to do fancy things like put a custom display header, which I just couldn't figure out how to do. Now that the site is up, I add links daily and also search for 3-4 people who might be interested to add as friends to the site. I'm very excited about my Facebook fan page! So far I have 34 fans, and at least 3 people that I don't know in any way, shape or form. I'm experimenting with blogging and discussion posts. So far the response to both has been minimal. Hopefully I'll hit a better balance soon. I had NO idea how much work was going to have to go into this Cafepress site. I knew I'd have to do some marketing, of course... but my initial designs took me about 6 hours to do and upload. I'm still not sure they're at the right DPI because I can't find any info about the DPI of my images. They look right, though some of the text is too small to read. I'm learning how to aggressively market the site. This is going to be important for funding the novel as well as advertising it. Each item advertises the release date and the Myspace/Facebook pages. In addition to all of the above, I'm also working on a trailer for the book using Sims 2. I've done about 3/4 of the filming now. It should be up on Youtube at the end of next week. And with that, everyone should be caught up. Sorry this blog was so newsy. Next time you'll see more of the person behind this whole thing, as I go through my day trying to make this a success.